Eufora Beautifying Elixirs Color Revive Red refreshes color and intensifies shine. 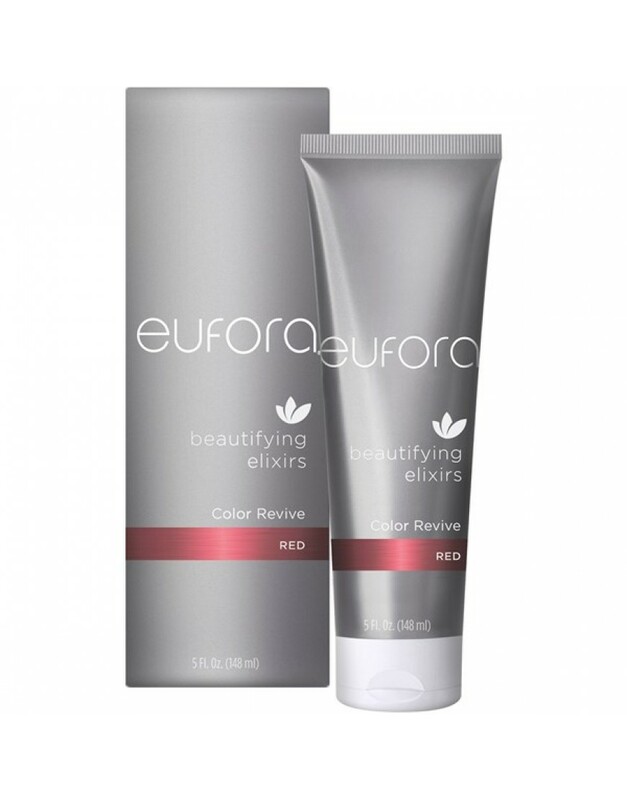 Eufora Beautifying Elixirs Color Revive Red is a color enhancing treatment that keeps tresses looking fresh and rich in tone with superior shine, in between salon visits. Don’t sacrifice your favorite shampoo and conditioning regimen. Color Revive is designed to be used in-between the cleanse and condition step. After shampooing, work Color Revive through hair. Leave on 3 – 5 minutes. Rinse. 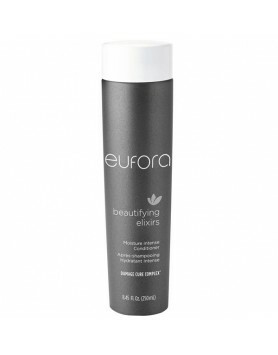 Follow with your favorite Eufora Conditioner. Cleansing prior to Color Revive application removes dirt, oils and build-up, allowing for better penetration and coverage. Conditioning after Color Revive seals it in for an optimal finish. ALL Plant Essence™ of Sage and Thyme – Promotes healthy hair. Soothes the scalp. 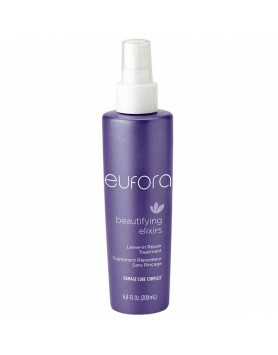 Prevents sebum clogging, nourishes the hair follicle. Improves weak and brittle hair. Inula Extract – Contains Glycolipids; a unique delivery system to help better penetrate color deeper into the hair shaft for increased color intensity, vibrancy and shine. Essential Oil blend for and aromatherapy experience. Eufora Beautifying Elixirs Color Revive Blonde refreshes color and intensifies shine. 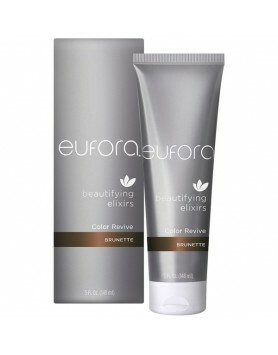 Brightens and ..
Eufora Beautifying Elixirs Color Revive Brunette refreshes color and intensifies shine.Eufora Beauti..
Eufora Beautifying Elixirs Color Revive Copper refreshes color and intensifies shine.Eufora Beautify.. This powerful hair perfecting potion penetrates the hair with a potent dose of Damage Cure Complex, ..
A leave-in moisturizer, detangler, frizz fighter, heat styling, and color protector all-in-one.Eufor.. 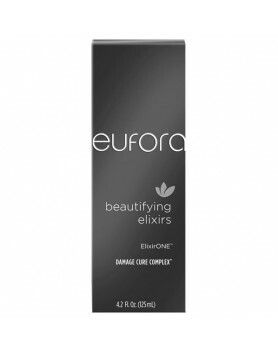 This extra moisturizing cleanser with Damage Cure Complex puts you in control of unruly, coarse, dam..